First let’s define the «μακεδονιστί» phonology , that is the “macedonian manner of speech“. Many of the macedonian glosses , personal names , month names and toponymics that have been writen down and came to us although undoubtedly related to known Greek words show a striking characteristic : they are writen down with the letters [β,γ δ ] where the “standard” Greek forms have respectively [φ,χ,θ] . The phenomenon is known for more than a century and there has been an intense academic debate on it’s interpretation , and this interpretation judged whether or not the tongue of the ancient Macedonians was a Greek dialect or not. The argument starts from the basic assumption that during the pre-Hellenistic period , that is let’s say before 300-350 BC , the greek letters [β,γ δ ] had the phonemic value of voiced stops [b,g,d] respectively , meanwhile the letters [φ,χ,θ] had the phonemic value of voiceless aspirates [/ph/,/kh/,/th/] (the kind of “breathy” sound that an english speaker produces at the beginning of the words “pen” , “cow” and “ten” respectively. The phonemic values of these letters were not ment to be and from a time that conventionally is put in the Early Hellenistic Period (around 300 BC) all the above letters acquired “continuant” phonemic values : [β,γ,δ] became voiced spirants [/v/,/γ/,/δ/] , meanwhile [φ,χ,θ] became voiceless spirants [/f/,/χ/,/θ/] , that is the phonemic value that they still have in modern Greek. I have underlined the word “conventionally” , because in reality we don’t know when each dialect begun to shift the phonemic value of it’s consonants and it is widely accepted that there was a substantial ovelapping period between the two consonantal phonemic systems. So we’re pretty sure that the Doric dialects had given a spirant value in «β» and «θ» already in the 5th century BC , when they started to substitute the letter “digamma” («F» having the emiphonic phonemic value of /w/) with «β» (βόρθιος for earlier Fόρθιος) and «θ» with «σ» («μά τῷ Σιῷ» for earlier «μά τῷ Θεῷ»). The phonemic overlap was most intense roughly during the period 450-250 BC , but it doesn’t mean that it was inexistent earlier and later. … a name comparable to the region Παραύια located immediatelly north of the Middle Aous («παρά τον ΑἴFα» , “by the Aous“) , which was inhabited in historical times by the molossian Παραυαῖοι. Always in the Homeric texts the word ἄβυσσος (“abyss”) is attested and it’s etymology literarelly means “bottomless” («α-βένθος/βύνθος») as we’ll have the opportunity to see below. If this is the case then from early times the word for “abyss” has turned a spirant «θ» into «σ» , which later retro-assimilated the «ν» ,thus forming the double «σσ» in the same time that τέτρα (/tetra/) and ἵππος (/hippos/) were giving a canonical aspirate «θ» in τέθριππον (/tethrippon/). The above examples are indicatives of the existense of the “consonantal phonemic overlap” already during the Archaic Period and , in the same manner the “rural modern greek” variants δέντρο (/δendro/) , κόμπος (/kobos/) , γκαστρωμένη (/gastromeni/) preserve the pre-Hellenistic phonemic values of /dendron/ , /kombos/ , /gaste:r/. I hope that the above examples have shown the “conventionality” of saying that between 350-250 BC greek has turned into spirants the consonants «β,γ δ ,φ,χ,θ» and it’s this conventionality that creates the uncertainty in attributing exact phonemic values in words that have come down to us in a writen form. Sinse the debate about the ancient macedonian tongue is based primarely on the interpretation of words that have come down to us only in a writen form it is logical to understand why it inherited the above mentioned uncertainty. Having presented the uncertainty in interpreting the absolute phonemic value of a writen «β,γ δ » as [/b/,/d/,/g/] or [/v/,/δ/,/γ/] and the writen «φ,χ,θ» as [/ph/,/kh/,/th/] or [/f/,/χ/,/θ/] we can be a little more certain in the relative interpretation : that is sinse the same nebulous uncertainty covers both Macedonian and the known Greek dialects , this permites us to postulate that a lets say 400 BC Macedonian «β» is not more difficult to interpret than a Boeotian «β» of the same period. This means that the older the attested writen form is the more probable (but not 100% certain) the writen «β,γ,δ» and «φ,χ,θ» represent respectively voiced stops [/b/,/g/,/d/] and voiceless aspirates [/ph/,/kh/,/th/]. Greek is an Indo-European (IE) language and like all the other IE languages it derives from a partially reconstructed hypothetical Proto-Indo-European (PIE) precursor. That precursor was spoken most probably in the Pontic-Caspian Steppes between ca. 5000-3000 BC. As it’s bearers gradually expanded PIE was first disintegrated in regional dialects and those dialects in time became separate languages , each consisting of it’s own dialects. Each emerging language has made certain innovations common or not with other languages as it has made certain preservations again common or not with other languages. I) The devoicing of the PIE voiced aspirates *[/bh/,/gh/,/dh/] in voiceless aspirates [/ph/,/kh/,/th/] (at least before starting to turn in spirants [/f/,/χ/,/θ/] as we have said above). 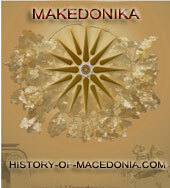 II) The preservation of the labiovelars at least until the Mycenaean Collapse of ca. 1200 BC (in the Mycenaean Linear B tablets the labiovelars appear to be intact) and the successive relatively rapid transformation of the last during the next 2-3 centuries (ca. 1150-850 BC) , transformation that seems to follow certain rules : /gw/>> /b/,/d/ and more rarely /g/ , /gwh/>> mostly /th/, /ph/ , but also /kh/ and sometimes /b/ and /d/ and finally /kw/ >> mostly /p/ and /t/ and rarely /k/. It was the belief that according to the long-established interpretation of the writen «β,γ δ » and «φ,χ,θ» as respectively voiced stops (/b/,/d/,/g/) and voiceless aspirates (/ph/,/kh/,/th/) , “Macedonian stands apart from every other greek dialect sinse it has deaspirated the PIE voiced aspirates * [/bh/,/gh/,/dh/] into voiced stops [/b/,/g/,/d/] , instead of devoicing them into voiceless aspirates [/ph/,/kh/,/th/] a property that is also shared by the other known Paleo-Balkan IE languages like Thracian , Illyrian and Phrygian. Here I leave aside Macedonian and I’ll examine words from the known Greek dialects that show a «μακεδονιστί» orthography that is forms writen with «β,γ δ » instead of «φ,χ,θ» from terms that have a PIE reconstructed root containing respectively the voiced aspirates * [/bh/,/gh/,/dh/]. I choose the term “orthography” and not “phonology” , because it’s the writen forms that we can compare to our reconstructions , sinse as I’ve said above there is a phonological uncertainty due to the overlapping of the two consonantal phonological systems [(/b/,/g/,/d/)-(/ph/,/kh/,/th/) vs. (/v/,/γ/,/δ/)-(/f/,/χ/,/θ/). So again we find Greek terms that date to the homeric epics , if not to the days of the Dorian Migration , that still formed personal names in historical times and present the aberrant «μακεδονιστί» phonology δ for θ). Dymas , Dymanes , Nedymos , Adymmas and possibly Adymos (if not Hadymos) have the same root (PIE *dhuh2mos) with the “phonologically standard” Greek word thymos. Again the Greeks have been using them sinse time immemorial. Beneath *ghwer we have *gwhonos “a sound , avoice”. That gives obviously the panhellenic and diachronical greek word for “voice” φωνή. Another possible root is PIE *bheh(a)meh(a) “saying” from *bheh(a)- “to speak”. The last ones gave the greek words φήμη (“fame”/”saying”) and φάσκειν (“to speak”). What ever the precursor of φωνή and βώνημα is their phonologically aberrant cousins βάζω , Ὕψιβρεμέτης , βροντή , Βρόντης and βούλομαι-βέλλομαι were widely attested all over the Greek World and mostly they are attested in the Earliest Epics writen down by the late 8th century BC Asia minor aegean Ionian/Aeolian Greeks who almost certainly haven’t interacted with the Illyrians. Not that the Dorians have interacted with the Illyrians neither in my opinion , for the simple reason that archaeologically speaking the Illyrians have reached for the first time the Shkumbi river in Central Albania around 1000 BC (N.G.L. Hammond in Cambridge Ancient History III.1 , page 629 :”…Parthini who held the middle and upper valley of the Shkumbi. It is likely that all these tribes moved into these habitats in the late eleventh or early tenth century B.C.“) , meanwhile at that time the Dorians and the Aeolians were already in their historical positions (Peloponnese and Lesbos-adjucent coast respectively) for about a century , sinse it was the Phrygian Descent sometime between 1200-1150 BC that prompted the so-called “Great aegean Migration” !!! The usual Greek verb for “to resorb” is ἀναρῥοφεῖν and we see for another time in the homeric Epic a «μακεδονιστί» «β» in the position of a “standard” Greek «φ» and an «αἰολιστί» «υ» in place of a standard greek «ο» (compare ἀγορά and ἄγυρις). How can we explain the coexistence of “standard” and “aberrant” «μακεδονιστί» terms within the Epics ? One could say that both forms were available in the lexicon pool of the Asian Ionia and Aeolia. Another possibility -and that is what I personally believe- is that sinse it’s well accepted that the Epics were writen down in a hybrid language both spacialy (Ionian and Aeolian dialects) and temporarely (through all the 1000-700 BC period) it could be the case that «μακεδονιστί» κρύβδην was the Aeolian countepart of Ionian κρυφηδόν and only secondly the two terms have intermingled and were commonly used by both Aeolian and Ionian Rhapsodists. The two basic reconstructed verbs for “drive” in PIE are *dhreibh– and *h(a)eg-[PIE,286,406] . As you can easily see the first gave the english verb “to drive” , meanwhile the second root gave the greek ἄγω. In [PIE,286,406] we also see the importance of “Cattle Raid” among the IE people . In most IE languages the terms “drive” and “cattle” often meet. This is the case with english “Drive” and “Drove” and of course of greek ἄγω ἀγέλη (“drove”, “cattle herd”). The metaphor of a “leader” as “cattle driver” is best seen in ancient Lakonia where the boys were grouped in teams called “agelai” (“cattle herds“) and it’s agele had it’s “Bouagos” (“Cattle Driver“) for leader. It’s becoming obvious that the names Δρεβέλαος and Τρεφέλεως are exact etymological and semantic cognates of the very frequent greek name Ἀγέλαος and it’s NW Greek and Ionian variants Ἀγέλας and Ἀγέλεως respectively , meaning always “Leader of the people ” in a common metaphora of the “The people ” as “Cattle Herd” (drive-drove , ἄγω-ἀγέλη). None denies that ancient Macedonian due to it’s peripherical position wasn’t influenced from non Greek languages , but this influence is too small and as the Asian Aeolian similarities with Macedonian show , it’s not enough to explain the characteristic of the ancient macedonian dialect. If one really wants to move deeper in the understanding of the tongue of the ancient Macedonians he must search for intrinsic procedures within Risch’s Northern Greek Group. That is the linguistic group that disintegrated around 1200 BC and gave the dialects of the Epirotans (Epirotic and Upper Macedonian Epirotans) , Eteo-Macedonians (“Old Kingdom”) , NW Greeks and Dorians and finally Helladic and Asiatic Aeolians. Having this in mind one can understand why the «μακεδονιστί» phonology was far more frequent in the Macedonians than it was to the other “ex-Northenr Greeks”. During their migrations Dorians and Aeolians have “walked and settled” on ex-Mycenaean ground and so it’s almost certain that they found a considerable “south Greek” Substratum that “southernized” partially their Northern-Greek «μακεδονιστί» speech. The example of the historical Lakonian Ποhοιδᾶν which does not derive from the Northern Greek Ποτίδας , but from the south Greek Ποσειδῶν by elimination of the intervocalic “s” common to Lakonian is a perfect example (among others , as the double name of the Festivity Kàrneia and Yakinthia and the mystery of the double Royal House) of the important role that the “pre-Doric” substratum has played in the formation of the historical Doric Dialects. Now Homeric καταλέγμενος is definitelly an Aeolic variant of the “standard” καταλεχόμενος , presenting a «μακεδονιστί» «γ» for «χ» (I leave the interpretation of the phonemic values to the linguists) , which links it undoubtedly with the much later Ἀμβίλογος found in the Aeolian Thessaly. Even if we can explain the deaspiration of /kh/ in /k/ due to the operation of Grassman’s law , provoked by the following /th/ in anedekhometha , still we have to explain the morphological similarity of the voicing of /k/ in /g/, the accent change and the elimination of the “o” of this form with all the other forms mentioned above and below. The other term εὔγματα instead of εὐχήματα is extremely interesting because Mallory & Adams in [PIE,357] derive the greek eukhomai “to praise for”-“to vaunt” from PIE root *hieugwh– “praise”. So we have a Greek cognate deriving from a known PIE originally aspirated (gwh) term that already in the epics shows an aberrant «μακεδονιστί» orthography («γ» for «χ») , sinse I leave the “voiced stop” for “voiceless aspirate” to the linguists. So far one can say that the aberrancy «γ» for «χ» in all these cases occures only immediatelly before a μ » and so the link of Ἀμβίλογος and καταλέγμενος may not be so obvious. That things are not like that is best shown again from two other homeric «μακεδονιστί» aberrant terms. The standard forms of μογήσας and ἐμόγησεν are μοχθήσας and ἐμόχθησε respectively. There is no μ » immediatelly after and yet again the aberrant «μακεδονιστί» Aeolian versions seem to have the same relation that Γαῖα has with Χθῶνα , sinse a «μακεδονιστί» «γ» is appeared in the position of the complex «χθ». Here πυγούσιος is used instead of πήχης (“elbow”/”forearm”/ ell “/”cubit”). We are lucky that there is a PIE reconstructed term *bhaghus [PIE,180] that shows the PIE term aspirated (/gh/) , which gave in Greek the “standard” term πήχυς and the aberrant «μακεδονιστί» πυγούσιος presented i nthe homeric epic. There can’t be any doubt that this «μακεδονιστί» term was added in the epics by an Aeolian Rhapsodist , for whom the term represented the “linguistic baggage” that his ancestors brought with them from Thessaly to the Asian Aeolis. 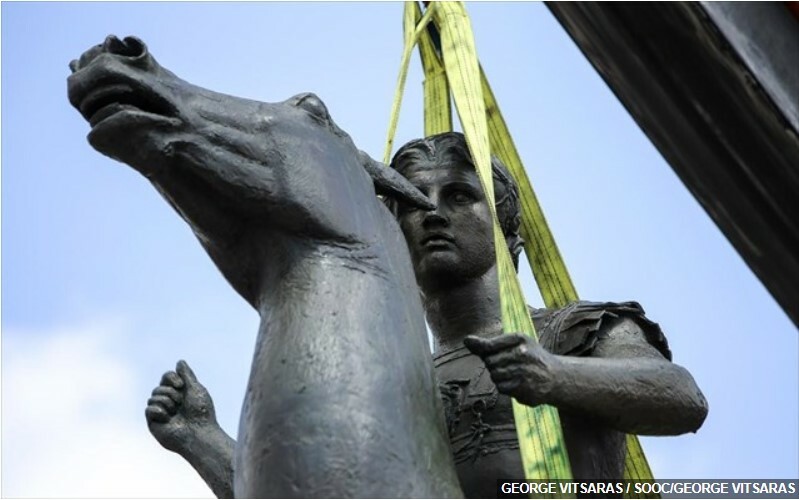 2) «ι» for «ε» as the Macedonian from Strattis’ comedy and his term «κικλήσκετε» and the famous «κικλήσκουσι» [Odyss. IX.365] with which Odysseus tells to Polyphemus that “ parents and companions call him Nobody” compared to “standard” Greek «κεκλήσκειν». ii) C.D. Buck mentions [TGD,60] that the dorians of the Peloponnesian argos used to write γεγράβανται for γεγράφαται and Mallory & Adams present a PIE root *(s)grebh– “scratch”,”cut” [PIE,377] as the ancestor of the greek γράφειν. iv) Mallory and Adams in [PIE,271] mention : “The PIE root *lambh– is generally found to underlie words for “goods,possessions” but still retains a veral meaning “seize” in Indic (Sanskrit là(m)bhate “he seizes”/”he takes”) and Greek λαμβάνω “seize”/”take” “. So the fact that the Sanskrit cognate is aspirated (bh) reassures the original aspiration of the PIE term. This means that the panhellenic Greek words λαμβάνω and λαβή (“handgrip”) should be considered «μακεδονιστί» aberrant terms of their other panhellenic Greek cognate λάφυρον (“booty”/”loot”) which presents a “standard orthography” (*bh>φ). The relation between κορυφή , κόρυς , κάρα κάρηνα is easily explained by the fact that “a” and “o” are situated near the liquid “r” , like στρατός but Aeolian στρότος ( army “) and ἄρχων (“Leader”) but homeric ὄρχαμος. 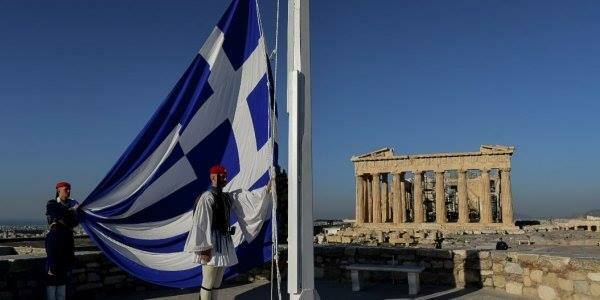 The -υφή of κορυφή on the other hand must be related to latin terms Obex meaning “boundary” and Apex meaning “summit”. The panhellenic word δύναμις meaning “power”- “ability”-“possibility” and it’s verb δύνασθαι meaning “be able to”-“have the power to” is in my opinion another aberrant «μακεδονιστί» term that is in use among greek speakers sinse time immemorial. I see it as a compound δύν-αμις : Its “dun-” is related to PIE *dhunos meaning “fortress”/”stronghold” [PIE,223] which gane the Celtic Dun placenames and the Proto-Germanic *tuna which evolved to English “town“. The “-amis” could be related to greek ἄμυνα defence ” and it’s verb ἀμύνεσθαι “to defend”. From the meaning “defendable stronghold” = “place where one is able to defend himself” the meaning has shifted to “general ability to do things“. At this point I’like to repeat that if the «μακεδονιστί» panhellenic links in *dhunos-δύναμις and *dhenr-δένδρον don’t seem very convincing because of the *dh δ «μακεδονιστί» transition , we shouldn’t forget the already mentioned and solid relation of the “motion related” δ-terms Δύμας , Δυμάνες , Νήδυμος and Ἄδυμος with the PIE root *dhuh2mos = “be in motion”. Mallory & Adams [PIE,296] present the PIE root *(s)tembh- “make stand”/”prop up”/”be solid”. The Sanskrit cognate stambhate guarantees the PIE *bh , which enables us to classify as aberrant «μακεδονιστί» all the Greek cognates with a «β» instead of a «φ». “In the south-East of the IE world derivatives of this word are used to name the archetypical monster , the Greek monster Python ans Sanskrit ahir bhudhnyas (“snake of the deep“)”. βάθος or βάνθος / βένθος as it appears in the Epics , βυθός (all “depth”/”bottom of the Sea”) , ἄβυσσος (abyss “bottomless”) , βυσσοδομέυω (“machinate” = “acting secretely below surface”) and possibly βήσσα (“valley” as “bottom of a region surrounded by mountains”). Secondly , it is interesting to see the complex «νθ» transforming in to «σσ» (*bhudhno->bundho->buntho->busso). It is a phenomenon that we will use below. So I will now explain why I think that the Greek words ξανθός , ξανδικός , καθαρός and κάνδαρος derive fro mthe same root *(s)kand- and that in reality the “abnormal” term is not the Macedonian-Perrhaebian monthname Xandikos , but the common greek xanthos itself ! The panhellenic term ξανθός was produced by analogy , from the many -νθος endings in the greek vocabulary *we-ve seen above βένθος and we know the pre-Greek toponyms Korinthos , Zakynthos etc.). As you can see at this point there’s nothing “non-Greek” that raises “suspicions” in the Macedonian and Perrhaebian Xandikos : It simply hasn’t participated in the optional intra-greek mechanisms of analogy that produced the panhellenic xanthos. The exact relation is seen between kàndaros and katharòs. A further comfiramtion of my approach derives from the meaning that lies behind the month Xandikos : during that month a festival of purification of the army occured called Xandika. The Macedonian army passed between the two parts of a dog which has been cut in twain. The same ritual was practised in Boiotia during the “ public Purification” ( «δημοσίᾳ καθαρμός» , Plutarch [Mor. 290D]). Not only we managed to derive καθαρμός and Χανδικός from the same linguistic precursor (PIE *(s)kand-) , but we’ve also maanged to see the two terms overlap in rituals of purification. Starting from κανθαρός with it-s original meaning of “bright”/”glowing” we get the personal name Κάσσανδρος “Illustrious man” (κανθ->κανσ->κασσ) in the same manner that we get ἄβυσσος from βένθος. In [PIE,339] we have a term *tergw-“scare-threaten” with cognates in Latin torvus (“piercing wild of [of the eyes]”) , Sanskrit tàrjati (“threatens , scolds”) and greek ταρβέω (“scare”) , hence Homeric ἀταρβής (“fearless”). For a number of reasons that you’ll soon see I believe that the PIE root should be reconstructed as *stergw– with the primary meaning of “turn” , that secondarily gave cognates related to “scare”/”be scared”. The semantic connection is abvious : Someone who induces fear makes other people to turn behind (Latin tergo-“behind”). Imposing the primary meaning of *stergw– as “turn” we immediately get a plethora of cognates. “Turn” with it’s meanings of “turn”-“bend”-“rotate”-“twist” gives what I call a Latin sequence and a Greek one very similar. tergo (“behind” , “turn”) , torvus (“scare”,”turn behind”) , turbare (“twist” ,”bend”) and turbolentia (“twister” , “twist”). The Greek sequence is ἐπιστρέφω (“turn behind”) , ταρβέω (“scare”) , στρέφω , στρεβλώνω , στραβώνω , στρίβω (all verbs meaning “turn”-“bend”-“twist”) , the noun στροφή (the “turn”) and finally as in latin a “twister” cognate in στρόβιλος. Near the liquid “r” we have the vowels /e/, /a/ and /i/ like in ἱερός , ἱαρός , Ῐρος and it’s interesting that the “doricoid” στραβώνω («ἱαρός») and the “thessalo-macedonian” στρίβω («κικλήσκω») present the “justified” «β» , meanwhile the “south Greek” “e”-form στρέφω has the unjustified «φ» , but also has kept the «β» in στρεβλώνω. So in this case I believe that we are in front of an important archaism found in the northern greek dialects , sinse they appear to have kept the linguistically justified «β» , instead of changing it by analogy due to the very frequent verb ending «-φω». What do personal names say about that ? At this point I would like to repeat that if my linguistic analysis is right then the apparent aberrancy of the «β» and δ » forms in the pairs ξανθός-ξανδός , στροφή-στρόβιλος and στρέφω-στρεβλώνω does not start from PIE voiced aspirates [*dh,*bh] , but from [*d] and [*gw] and only by purely optional analogical mechanisms produced voiceless aspirates in greek. So , we are in a situation that the “apparent aberrant” forms on a linguistic base appear to be justified , when their “apparent standard” forms appear to by “optional” and “unjustified”. These examples of secondary aspiration within greek are indicative of an eminent danger in linguistics. The reconstruction of the PIE terms uses as principal indicators of original aspiration the Greek and Sanskrit cognates (and some times the Latin spirants). When all the indicators agree then the original root is without doubt aspirated [*bh,*dh,*gh] . When on the other hand we have only the greek cognate and the cognate of the large amount of IE languages that have turned the PIE voiced aspirates [*bh,*dh,*gh] in voiced stops [b,d,g] then we are assuming that the PIE term was aspirated and that greek has preserved it (creating thus the vicious circle that will classify as aberrants many «μακεδονιστί» terms) , instead of considering the possibility of an original voiced stop PIE term that was inherited in Proto-Greek as such and only secondarily was aspirated in some dialects , meanwhile in others it was left intact. We’ve seen the root *stergw– (and the labiovelar was intact at least until 1200 BC) giving both στρέφω-στροφή and στρεβλώνω-στρόβιλος , PIE *scand– providing ξανδός and ξανθός and , I repeat , the possibility of an ultimate origin of θώραξ-δῶραξ from *doru. I have presented countless examples of «μακεδονιστί» terms of both panhellenic and dialectal use. The dialectal elements are basically concentrated in the Northern Greek Group acting as an indicator of common origin between the Macedonians , the Aeolians , the Dorians and the other Northwestern Greeks instead of isolating the Macedonians from all the other greek dialects as it has been advocated for years. Furthermore, the fact that these terms are frequent in the Homeric epics due to their Aeolian component besides the Ionian one indicates that these “phonologically aberrant” features (as we have called them for many years) are intrinsic developents of the Northern Greek Group and not non-greek influences , sinse the Asian Aeolians and the Dorians have never really any contact with the Illyrians and had a historically instantaneous contact with the Phrygians who prompted their macrochronic and long-distance migrations. This means that Macedonians and the migrating northern Greeks (Dorians and Aeolians) have started from exactly the same grade of phonological aberrancy , but the former preserved and partially increased it due to the contact with the Phrygians (Brixhe’s model of phonological osmosis) , meanwhile the latter decreased it due to the influence of the “Mycenaean” South Greek substrata that they have encountered in their historical locations. In this last topic I’d like to speak about an important isogloss that I see connecting Dorians , Macedonians and Thessalian Aeolians. That is to preserve remnants of labiovelars (kw,gw) turning into “k” instead of the usual “p” and “t”. “Mycenaean was in transitional state in 1350 BC when it was recorded. Some Indo-European words with /kw/ has already shifted to /k/ in mycenaean. The alternation between *kw and *p probably was already present in some dialects of Proto-Indo-European”. This is important because it permites us to link some eccentric /k/ found in the Macedonian , Dorian and Thessalian dialects with the fact that around 1350 BC all these were living together around Pindus and the Thessalo-Macedonian borders (Herodotus I.56 : Dorians-Makednoi /Histiaiotis-Pindos , Hesiod “Catalogue of women” , fragment 7 : Macedonians and Magnetes/Pieria-around Olympus) and so present them as an isogloss. 2) The Thessalians (of Pelasgiotis mostly) used the interrogative pronoun Κὶς instead of Τὶς both deriving from PIE *Kwis. 3) The macedonian homeland Pieria , a region known to Homer and Hesiod and it means “prosperous/rich land” as it is related to the terms Pieira = “fat”/”rich”/”fertile”(Iliad.XVIII.541 , Odyssey.II.328) , Piar = “topmilk”/”fat of the milk” and the homeric adjective piôn = “fat”. Mallory & Adams present an PIE root *pihwr-“fat(ness)” [PIE,260,261] , which seems to present cognates in other languages , one of which is the name of Ireland , and recording Bynon’s obseration that many PIE dialects were interchanging /p/ with /kw/ I have to say that I find attractive the idea of an ultimate origin of the “p” terms realted to “prosperous”-“rich”-“fertile”-“fat” i nthe PIE root *kwei-“built” , which probably gave the greek verb ποιῶ meaning “to produce”-“to make” (hence poet). The semantic link between “produce” and “fertile”-“prosperous” is far than obvious. If this is the case then the toponym Kierion in Thessaliotis (south Thessaly) and it’s river Kouarios (which has an “ou” denoting the earlier labiovelar /kw/) must be seen as the “k-analogs” of Pieria-Piar. 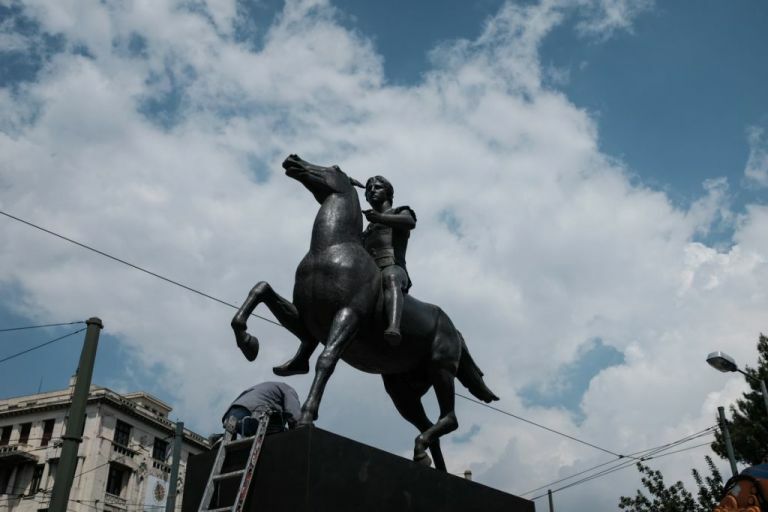 4) Finally , the Macedonians preserve an other “k-form”. In trying to find the common PIE origin of the various words for “war” : English war , Latin bellum , Italian-spanish-Portuguese Guerra and Greek polemos-ptolemos I came up with the root *gwel-“strike”/”stab”/”pierce” and it’s related cognate *gweru-“spear” [PIE,245]. English “War” is related to *gweru as “womb” is related to *gwelbhus (Greek delphus , belphus and possibly Doric-Macedonian belbus from the toponyms Belbina , Belbinitis in South Greece and Belbendos in Macedonia. Belbendos as “mother-land” is of extreme interest because somewhere near it is located Lebaia the legendary settlement from where the Macedonians have startd to expand) , meanwhile Latin Bellum is related to to *gwel– as bos relates to *gwous , meanwhile the modern Italian Guerra (probably a foreign loan) preserves the labiovelar intact. Greek ptolemos is interesting. From *gwel- we must devoice the labiovelar in *kwel which generates the root ptol- exactly as pemptos derives from *penkwe and aphthonos from from *gwhonos. If this is the case then in the Macedonian variant Ktolemmas instead of the usual Ptolemmas and Ptolemaios must be seen as another /kw/->/k/ expression . ΚΑΤ’ ΑΡΧΑΣ ΘΕΛΩ ΝΑ ΔΙΕΥΚΡΙΝΗΣΩ ΟΤΙ ΣΤΗΝ ΕΛΛΗΝΙΚΗ ΓΛΩΣΣΑ ΕΧΟΜΕΝ ΚΑΤ ΑΡΧΑΣ ΤΑ ΣΤΟΙΧΕΙΑ, ΕΙΤΑ ΤΗΝ ΣΥΛΛΑΒΗ , ΕΙΤΑ ΤΑ ΜΕΡΗ ΤΟΥ ΛΟΓΟΥ ΚΑΙ ΕΙΤΑ ΤΟΝ ΛΟΓΟΝ ΑΝ ΕΧΩΜΕΝ ΝΟΑ (ΝΟΥ). ΠΕΡΑ ΑΠΟ ΤΗΝ ΕΛΛΗΝΙΚΗΝ ΓΛΩΣΣΑΝ ΕΧΟΜΕΝ ΚΑΙ ΤΟΝ ΒΑΡΒΑΡΙΣΜΟΝ ΚΑΙ ΤΟΝ ΣΟΛΟΙΚΙΣΜΟΝ. ΚΑΙ ΟΙ ΠΑΛΑΙΟΙ ΕΛΕΓΑΝ. τάξει ἀτάκτως καὶ ἀνακολούθως παραλαμβάνεται. αἰκισμὸς, ἤγουν ὕβρις τοῦ ὁλοκλήρου λόγου. Η ΕΛΛΗΝΙΚΗ ΓΛΩΣΣΑ ΕΙΝΑΙ ΜΙΑ ΚΑΙ ΑΔΙΑΙΡΕΤΟΣ. ΔΕΝ ΥΠΑΡΧΟΥΝ ΕΛΛΗΝΙΚΟΙ ΔΙΑΛΕΚΤΟΙ ΥΠΑΡΧΗ Η ΕΛΛΗΝΙΚΗ ΓΛΩΣΣΑ. ΟΙ ΑΤΤΙΚΟΙ, ΟΙ ΔΩΡΙΕΕΣ, ΟΙ ΑΡΚΑΔΕΣ, ΟΙ ΚΡΗΤΕΣ, ΟΙ ΒΟΡΙΟΙ, ΟΙ ΝΟΤΙΟΙ, ΟΙ ΑΝΑΤΟΛΙΚΟΙ, ΟΙ ΔΥΤΙΚΟΙ, ΕΙΝΑΙ ΤΩΡΑ ΕΛΛΗΝΕΣ. ΙΝΔΟΕΥΡΩΠΑΙΚΗ; ΓΕΛΩΩΩΩΩ….. ΚΑΙ ΛΕΓΩ ΑΙΔΩΣ ΑΡΓΕΙΟΙ…ΝΤΡΟΠΗ…. ΑΠΕΤΥΧΑΝ ΟΙ ΦΟΙΝΙΚΕΣ ΚΑΙ ΕΠΙΣΤΡΑΤΕΥΣΑΝ ΑΝΥΠΑΡΤΟΥΣ, ΙΝΔΟΕΥΡΩΠΑΙΟΥΣ ΚΑΙ ΓΕΜΙΣΕ Η ΕΥΡΩΠΗ ΜΕ ΙΝΔΟΥΣ ΜΕ ΕΝΑ ΨΕΜΑ. ΟΙ ΚΑΘΗΓΗΤΑΙ ΤΟΥ HARVARD ΚΑΙ ΤΗΣ ΟΞΦΟΡΔΗΣ ΓΝΩΡΙΖΟΥΝ ΠΟΛΛΑ, ΑΛΛΑ Η ΑΛΗΘΕΙΑ ΕΙΝΑΙ ΜΑΚΡΙΑ. ΑΝ ΟΙ ΦΟΙΝΙΚΕΣ ΕΙΧΑΝ ΣΤΗΝ ΚΑΤΟΧΗΝ ΤΟΥΣ ΓΡΑΜΜΑΤΑ ΤΑ ΕΙΧΑΝ ΚΛΕΨΕΙ. ΒΛΕΠΕΤΕ ΟΙ ΔΙΟΙ ΠΕΛΑΣΓΟΙ ΕΙΧΑΝ ΤΑ ΓΡΑΜΜΑΤΑ ΣΤΗΝ ΚΑΤΟΧΗΝ ΤΟΥΣ ΜΕΤΑ ΤΟΝ ΚΑΤΑΚΛΥΣΜΟΝ ΤΟΥ ΔΕΥΚΑΛΥΩΝΟΣ. ΓΙΑ ΤΟΥΣ ΙΝΔΟΕΥΡΩΠΑΙΟΥΣ ΔΕΝ ΑΝΑΦΕΡΕΙ ΤΙΠΟΤΑ Ο ΟΜΗΡΟΣ. ΚΑΙ ΜΕΡΙΚΟΙ ΝΕΟΕΛΛΗΝΕΣ ΓΝΩΡΙΖΟΥΝ ΠΕΡΙΣΟΤΤΕΡΑ ΑΠΟ ΤΟΝ ΟΜΗΡΟ. 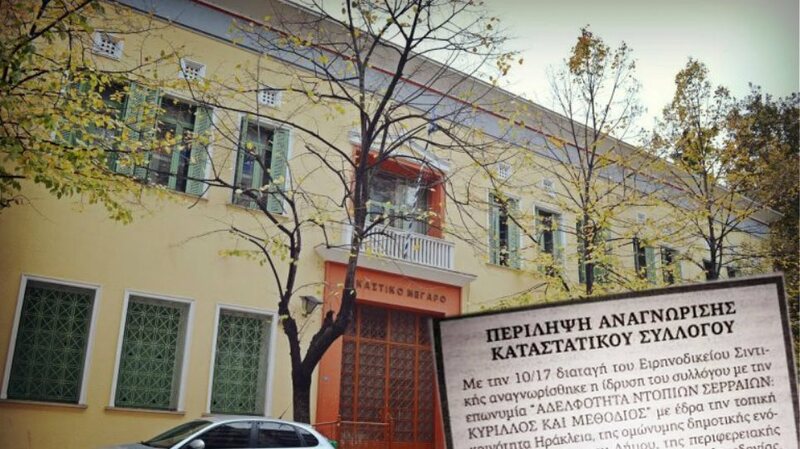 ΚΑΙ Ο ΟΜΗΡΟΣ ΣΑΣ ΑΠΑΝΤΑ….. αἰδὼς Ἀργεῖοι κάκ’ ἐλέγχεα εἶδος ἀγητοί. Η ΕΛΛΗΝΙΚΗ ΓΛΩΣΣΑ ΔΕΝ ΕΙΝΑΙ ΕΝΑ ΚΟΥΤΙ ΜΕ ΛΕΞΕΙΣ. Η ΕΛΛΗΝΙΚΗ ΓΛΩΣΣΑ ΕΙΝΑΙ ΕΝΑΣ ΜΗΧΑΝΙΣΜΟΣ ΠΑΡΑΓΩΓΗΣ ΛΟΓΟΥ. ΣΕ ΑΥΤΟ ΔΙΑΦΕΡΕΙ ΤΩΝ ΑΛΛΩΝ ΓΛΩΣΣΩΝ. ΑΝ ΘΕΛΕΤΕ ΝΑ ΧΡΗΣΙΜΟΠΟΙΗΣΩ ΠΑΛΑΙΟ ΤΡΟΠΟ. ΓΛΩΣΣΑΙ ΥΠΑΡΧΟΥΝ ΠΟΛΛΑΙ. ΔΙΑΛΕΚΤΟΙ ΟΜΩΣ ΜΙΑ. Η ΕΛΛΗΝΙΚΗ. ΓΛΩΣΣΑ ΕΧΟΥΝ ΟΛΑ ΤΑ ΖΩΑ ΔΙΠΟΔΑ ΚΑΙ ΤΕΤΡΑΠΟΔΑ. 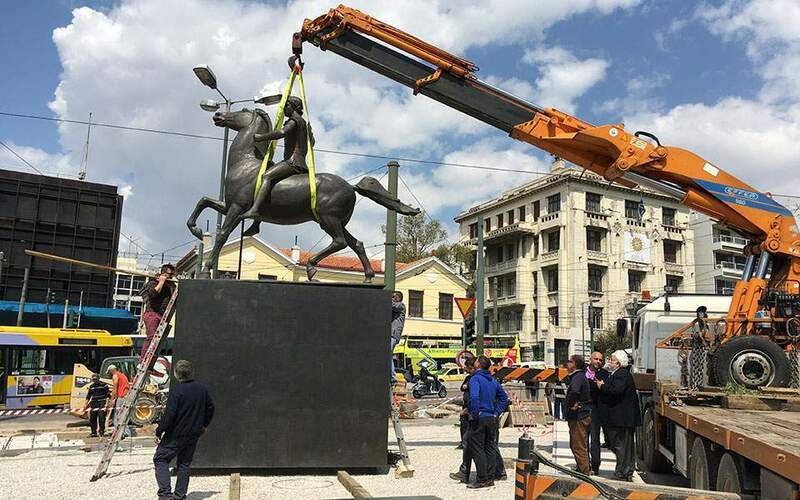 ΤΟ ΔΙΑΛΕΓΕΣΘΑΙ ΟΜΩΣ ΤΟ ΕΧΟΥΝ ΜΟΝΟΝ ΟΙ ΑΝΘΡΩΠΟΙ ΚΑΙ ΔΙΑ ΑΥΤΟΝ ΤΟΝ ΛΟΓΟΝ ΟΝΟΜΑΣΘΗΣΑΝ ΓΡΑΙΚΟΙ ΣΥΓΓΕΝΕΙΑΝ ΕΧΟΝΤΕΣ ΜΕ ΤΟ ΓΡΑΦΩ. ΑΡΓΟΤΕΡΑ ΟΝΟΜΑΣΘΗΣΑΝ ΣΕΛΛΗΝΕΣ, ἙΛΛΗΝΕΣ ΕΚ ΤΗΣ ΣΥΛΛΑΒΗΣ ΣΕΛ. ΤΑ ΟΝΟΜΑΤΑ ΔΕΝ ΓΙΝΟΝΤΑΙ ΑΠΟ ΑΛΛΑ ΟΝΟΜΑΤΑ ΣΤΗΝ ΕΛΛΗΝΙΚΗΝ ΓΛΩΣΣΑΝ. ΜΑΣ ΤΟ ΑΝΑΦΕΡΕΙ ΠΟΛΥ ΚΑΘΑΡΑ Ο ΑΡΙΣΤΟΤΕΛΗΣ. ἄνευ χρόνου, ἧς μηδὲν μέρος ἐστὶ σημαντικὸν κεχωρισμένον. ΕΧΟΜΕΝ ΠΡΟΧΩΡΙΣΗ ΜΕΤΑ ΤΗΝ ΑΛΦΑΒΗΤΟΝ ΧΩΡΙΣ ΝΑ ΤΗΝ ΕΧΟΜΕΝ ΚΑΤΑΝΟΗΣΗ. ΦΙΛΤΑΤΕ ΑΝΔΡΕΑ, ΜΕ ΤΗΝ ΛΟΓΙΚΗ ΤΗΝ ΔΙΚΗΝ ΣΟΥ ΕΧΩΜΕΝ ΠΕΡΙΘΩΡΙΑ ΝΑ ΑΦΑΙΡΕΣΩΜΕΝ ΓΡΑΜΜΑΤΑ ΑΠΟ ΤΗΝ ΑΛΦΑΒΗΤΟΝ ΜΑΣ. ΕΓΩ ΠΙΣΤΕΥΩ ΟΤΙ ΠΡΕΠΕΙ ΝΑ ΠΡΟΣΘΕΣΩΜΕΝ ΜΕΡΙΚΑ ΑΚΟΜΑ. Bravo Andrea, eisai kataplhktikos !! Thank you very much for this excellent work ! !